Pilatus Aircraft Ltd is the world market leader in the manufacture of single-engine turboprop aircraft and the only Swiss company to develop, produce and sell aircraft and training systems all over the world. 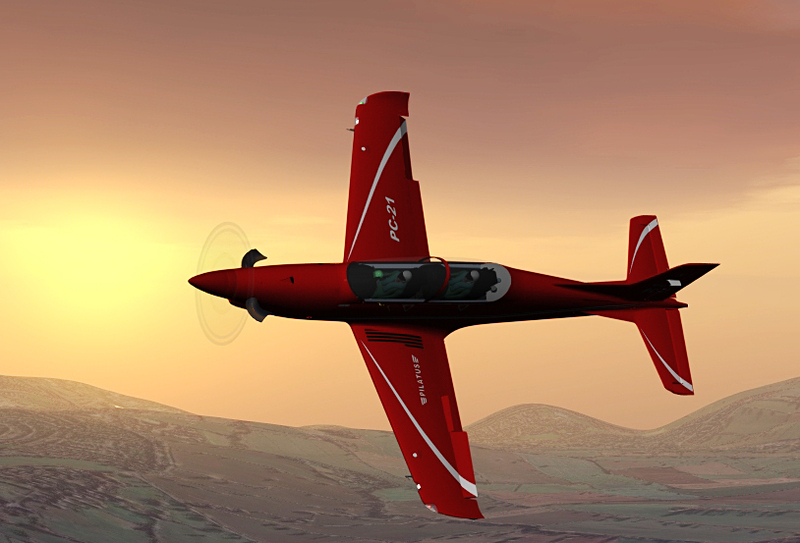 Nigel Wainwright, of Pilatus Aircraft Ltd, is a team development member of the new Pilatus turboprop trainer, the PC-21. 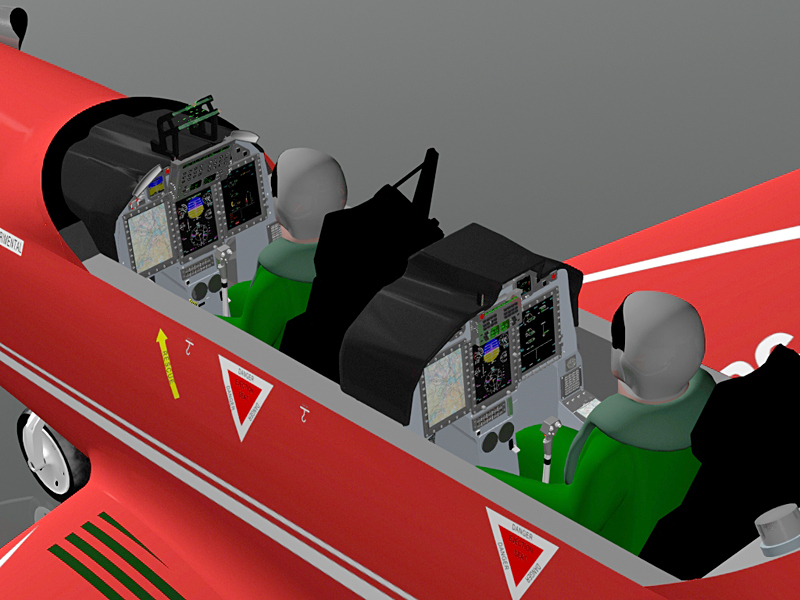 Part of his work has been to produce interactive training tools for the PC-21. 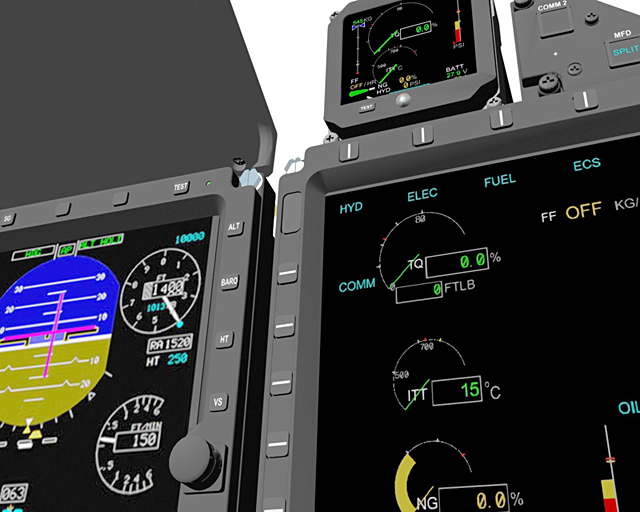 Pilatus chose Okino's PolyTrans CAD conversion solution as the means to bridge the CAD data available from their engineering department with the downstream tools to be used by their interactive multi-media development department. 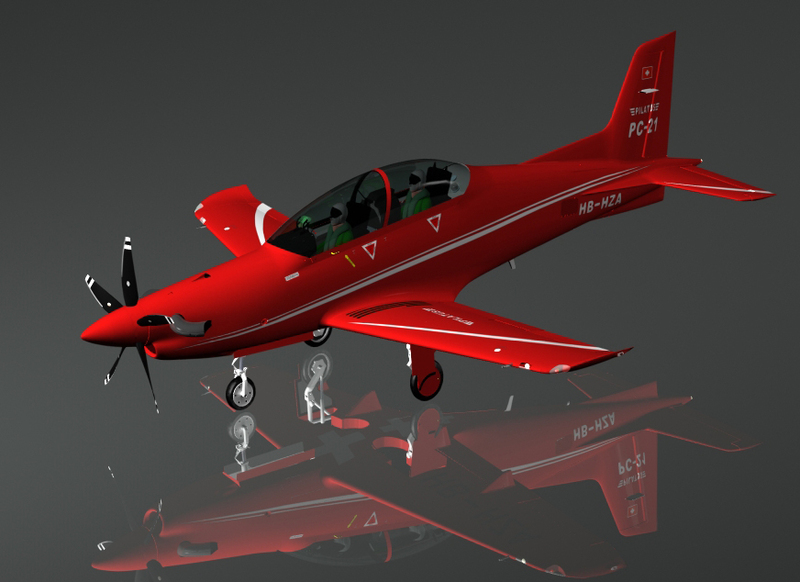 PolyTrans was used to perform the import, optimization, reduction, modification and conversion of Unigraphics CAD data to other 3D multi-media authoring tools, including Lightwave for animation. CAD to non-CAD conversions has been the primary focus of Okino since 1988, with CAD to Lightwave being a mainstay since 1994. Okino pioneered the concept of seamlessly bridging the CAD world with the non-CAD/animation/multi-media world, and as such can offer ideal and robust conversion solutions. The following images are taken from some of the aircraft training presentations. As explained by Mr. Wainwright, "All the aerofoil surfaces are dynamic and I have produced a number of movies for presentation openings and demos. The cockpit, as viewed from the outside picture is all 3D as well as you can also see from the internal shots. Now I am working on making all switches/buttons/levers operate with a little bit of video e.g. engine data planted onto the displays. Its a full digital cockpit with no analogue instruments in at all." All graphics are Copyright Pilatus Aircraft Ltd, All Rights Reserved. No images may be reproduced without the explicit permission from Pilatus Aircraft Ltd, permission which Okino Computer Graphics has received.